The Finger Stalls in Assorted Sizes (Pack of 10) are helpful covers that keep finger dressings clean and dry. They can help to protect injured fingers from contamination in order to avoid infection. The stalls are easy to apply, with a strong elastic loop on the end to secure firmly onto the hand. Used for protecting injured fingers from further harm, these finger stalls are ideal to keep dressed fingers covered in a clean environment. Finger stalls are perfect to use for cuts, burns, blisters, abrasions and other wounds. The finger stalls are a good short term solution for protecting dressings, however they are not intended for continual use. Air circulation to an injury is reduced while wearing a finger stall, so it is important to only wear it for short periods of time. 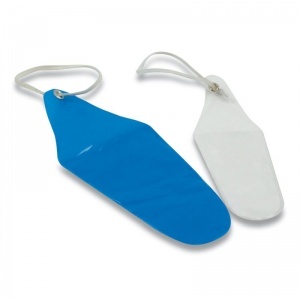 The stalls come in a pack of 10 in assorted sizes, ensuring that you have what you need when you need it. This is true whether you need to protect a finger or thumb, or have a lot of bulky bandages dressed on your hands. The Finger Stalls in Assorted Sizes (Pack of 10) are usually dispatched via First Class Royal Mail and delivery should be within 1 to 3 working days.